This 15″ by 20″ sign came from the pin-up era. 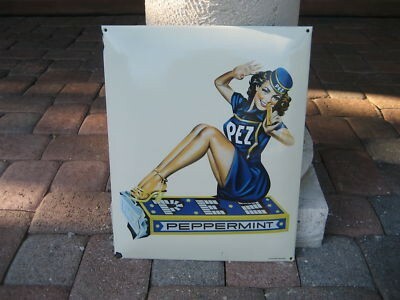 The sign has a woman wearing a PEZ shirt sitting on top of a box of PEZ Peppermints. The rest of the sign is white.